Lego 40316 Geoffrey Brickheadz 包裝曝光, 這款以玩具反斗城 (Toys “R” Us)吉祥物作主題的組合大家都認識, 暫未有消息何時上市. 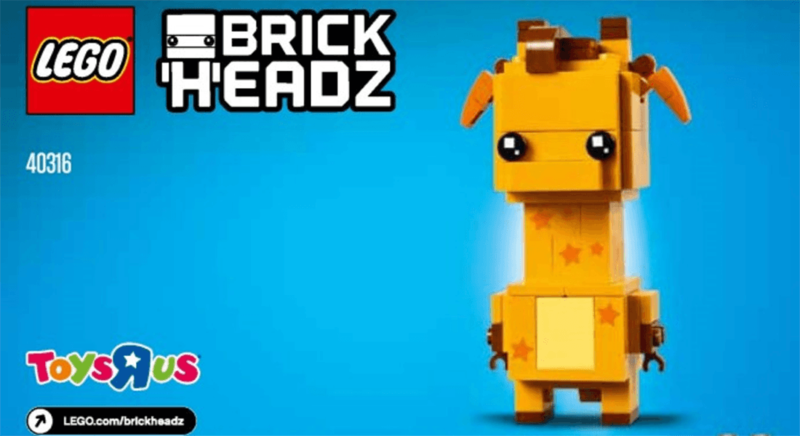 Lego 40316 Geoffrey Brickheadz 組合從曝光的照片看到組合與謝菲的外型十分相似, 遠望已經可以看到長頸鹿的謝菲外型. 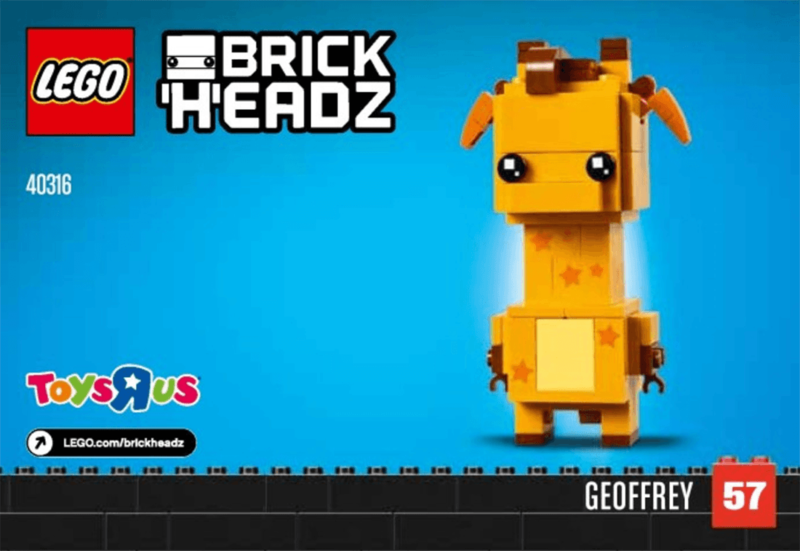 Geoffrey 屬於 Brickheadz 57號. 未知包裝盒使用標準Brickheadz 1款組合還是孖裝包裝.